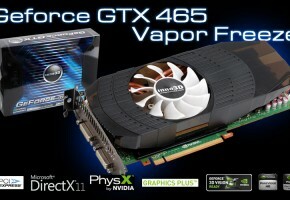 GTX 480 and GTX 470 were the first Fermi cards to hit the market, but NVIDIA recently followed them up with the third Fermi GF100-based card dubbed the GTX 465. 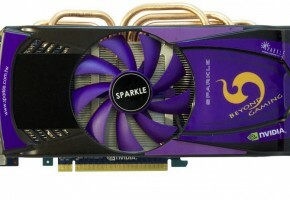 The name suggests that the card is slower than both of its predecessors and the fact that it’s put up against AMD’s HD 5850 proves that it’s a mid-range gaming oriented card. 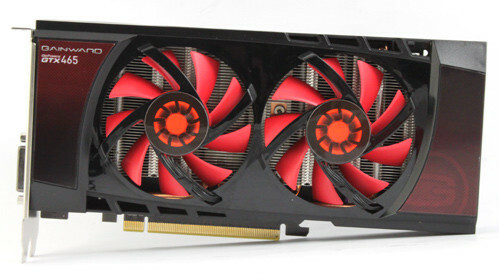 The card arrived with a MSRP of $279 and it’s NVIDIA’s first more affordable DirectX 11 card. 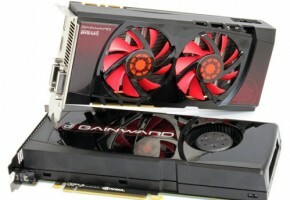 Our friends from Gainward sent us their GTX 465 Good, which should offer better overclocking performance, quieter operation at equal or lower price than the reference GTX 465. 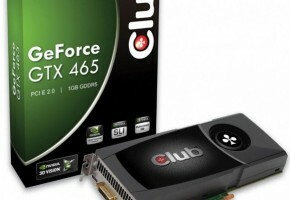 GTX 465 uses a scaled down version of the GF100 chip; more precisely the chips that haven’t qualified to run on GTX 480 and GTX 470 cards made their way to the GTX 465. Full version of GF100 packs 16 Streaming Multiprocessors (SM) whereas the GTX 465 comes with only 11 SMs and 352 shader processors. Let us clarify – one SM packs 32 shader processors (SPs), or CUDA cores as NVIDIA likes to call them. 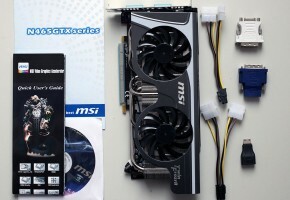 GTX 470 comes with 14 SMs (448 SPs) whereas the GTX 480 comes with 15 SMs (480 SPs). This means that none of these cards use the full potential of the GF100. 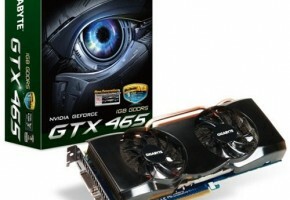 The announcement of Fermi GF100 chip also brought about NVIDIA’s usage of GDDR5 memory on high-end cards. Unlike AMD, who uses 256-bit memory interface and high-clocked GDDR5, NVIDIA uses wider memory bus and slower GDDR5 memory.